This entry was written many months ago and may contain some views that I do not currently hold or have not researched thoroughly. Enjoy. Along with the question of who is a legitimate successor comes another question. Who has the proper authority? 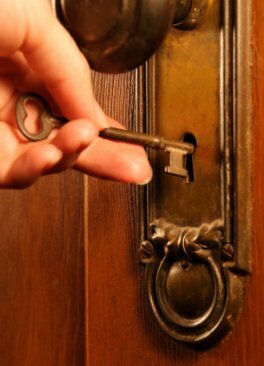 Which sect has the Keys of Authority originally given to Joseph Smith? It is believed that the Keys can only exist in one person, the President of the Church. Or they exist in the whole of the Quorum of the Twelve. We know that Joseph Smith gave Keys to the Quorum of the Twelve for the administration of temple ordinances for the living and the dead. It is any wonder then why the sect which is the direct descendant of the Quorum of the Twelve is the largest. The L-DS church has the most temples and has the members to fill those temples. It has the capacity to do the genealogical work to find the dead and then do their temple work. But what of the other keys? Have we forgotten the example that Christ showed? The man who was casting out spirits in Christ’s name certainly did not have the priesthood keys to do so. He did not follow the Twelve Apostles. But Christ told them not to forbid him, that what he was doing was good. This is a really difficult concept for most Saints to understand. Again because of the black and white view that we are right and everyone else is wrong. However the Priesthood Keys are another example of something that is perfect in nature but imperfect when used by humans. And this all had roots in being united. If we look at the first part of the verse and the preceding verse we can understand this better. It gives us a parable of what happens if we do not remain one. 21 For what man among you, having twelve sons, and is no respecter to them, and they serve him obediently, and he saith unto the one, be thou clothed in robes and sit thou here; and to the other, be thou clothed in rags and sit thou there, and looketh upon his sons and saith I am just. Here we read the parable of the twelve sons. We read of situation where you have twelve sons. And all of these sons serve you obediently. Would you be considered just, if you were no respecter of persons, and you clothed one son in robes and the others in rags. If you gave one a special place to sit and not the others. Would you be just? All of your sons served you obediently. The answer is no you wouldn’t be just. This parable is given to show us God’s perspective. God, who is no respecter of persons, has many divisions of Christ’s restored Church who follow him. Some try to their best to serve Him obediently. Would God be just if He gave one sect a special place and condemned the others? No, He would not be just. And we know God is just. So we know that inasmuch as a sect of the original church, restored through Joseph Smith, is being obedient to the commandments of God they are all equal in His sight. He cannot condemn one and support another. If one sect is doing work through the priesthood and so is another and they both are doing their best to be obedient God will accept both of their priesthood works regardless of the keys. The Parable of the twelve sons mentions nothing about keys. Christ didn’t condemn the man for casting out Spirits just because the man didn’t have the keys. God knew that after Joseph Smith’s death the Church would divide. And he gave this parable as a warning. That if the church would divide God could not be a respecter of persons to those who tried their best to be obedient, no matter what division they followed. Most people in the other “breakaway” sects aren’t some group of wicked people trying to undermine the power of God. They are honest noble people who are doing their best to obey God’s commandments, as they understand them. They aren’t liars or deceivers, or evil. Are there some people who are unrighteous in other sects? Yes there are. But the same can be said about your sect. There are unrighteous people in every group but that doesn’t mean all of the people in that group are wicked. So to go back to the beginning of this section, who has the Priesthood Keys? The answer is, as has been shown, it is really irrelevant. God is no respecter of the actions of any sect so long as they are being obedient, even if they don’t have the keys. Suffice it to say that the keys all exist in the Church as a whole. They may not be in every division of the restored church, but they are here in the whole of the church. I think what you’ve written here is very true, Zomarah, and very important. I no longer believe in one central authority. I believe authority exists throughout the church of Christ, that is, all who have repented and come unto him. It’s this reliance on a central authority that has members overlooking all types of human foibles in the leadership and bestowing upon them demi-god status. Very important post. Well done. Well this touches on another topic I want to blog on. Simply put there is a scripture in D&C which says that only those who have received their inheritance through consecration are to have their names counted among the righteous. Considering that and that the Church consists of all who have repented and been baptized, it makes me wonder. How much of a church do we have today? For example if we come to a knowledge that we are to live the Law of Consecration and we don’t, have we repented? If not, can we be counted as part of the church?